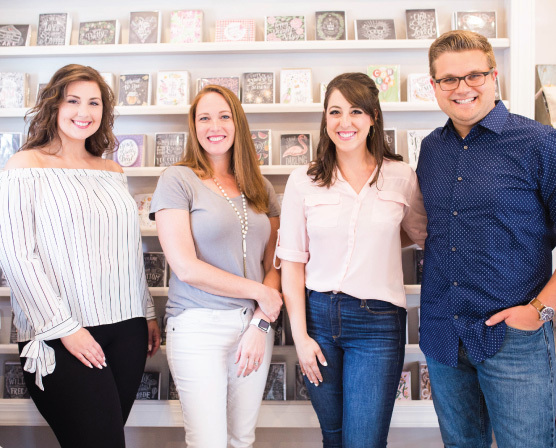 The past few weeks have been a whirlwind for the Lily & Val team because of National Stationery Show in New York! Thank you to everyone who followed along with our trip. We got some exciting news while there and I’ll also be sharing a recap soon. One of my favorite parts about this year’s booth was our floral backdrop (below)! Florals on black make me swoon! So, to continue the excitement from the show, I decided to make our booth backdrop drawing this month’s FREE desktop download! I hope it brings some prettiness to your tech as we enter summer! DOWNLOAD INSTRUCTIONS >> Click the “JUNE DESKTOP WALLPAPER” link or the image above. When the image is opened in a new window, right-click the image and select “Save image” or drag it to your desktop (You may have to click twice to bring the image to its full size). Once the image is saved, go to your System Preferences> Desktop/Screensaver and choose this image as your new wallpaper!